Today in the world women are taken as weaker vessel. 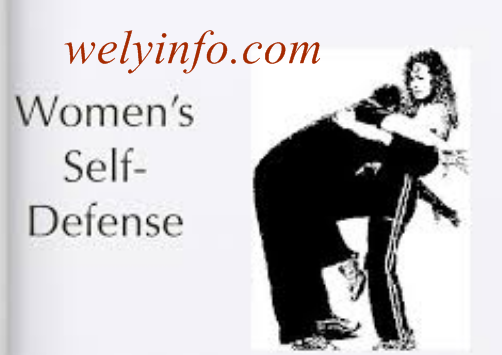 Many women have been attacked on several occasions due to one issue or another. it has become a compulsory requirement for the women counterpart to train themselves with diverse self-defense techniques. Women’s safety is of paramount importance in the world today. The human skull is pretty solid and robust. You can use it as a weapon of self-defense. Remember the FIFA World Cup incident, where the French soccer star - Zinedine Zidane - did the infamous headbutt? Well, you can try the same technique in self-defense. Just force your head into the attacker's face and see how he screams in pain. A pelvic kick is a super impactful technique that you can use to cause a lifetime of pain or even damage. If you happen to be in a combat situation, where the attacker tries to force himself on you, gather all your energy and pull yourself back, and in a single swooping action, fold your leg and use your knee to kick right in the pelvic area of the attacker. This particular technique is tried and tested. And the results have always been effective. If feel someone is following you or a person tries to grab you from behind, without spending second, thrust your elbow backward right into the intruder's stomach in full force. It will cause severe pain and give you ample of time to take the next course of action. All to the ladies defend yourself….